Find out more about our specialties, products, treatment options and more in our Glossary. Sometimes conservative treatment just won’t solve your foot problem. Surgery can be your best option. You want to make sure that your Pittsburgh Podiatry surgeon is board certified and has performed the surgery you need many times. All of the surgeons at Beaver Valley Foot Clinic are board certified and highly trained to treat all of your foot problems. You don’t have to battle the Pittsburgh traffic to find the most highly skilled foot and ankle surgeons available for Podiatry in Pittsburgh. Only a surgically trained podiatrist does enough foot surgeries on a regular basis to maintain foot specific skills. Since we are specialist and only care for the foot and ankle, you are receiving care from the most highly trained skilled doctor available for you problem. We take continuing education credits each year to bring you the most up to date surgical techniques available. Dr. Teimouri DPM has two goals with regard to your successful treatment. The first is to put an end to your foot pain now and for good. The second is to do everything possible to relieve your fears about treatment. Unlike a lot of the “quick fix” types of medical care today,She takes the time necessary to really know you, as a patient, as a person, and as a partner in your recovery. That’s why you’ll always get one-on-one care from her personally. She will always listen attentively to your concerns, your ideas, and your fears. She’ll put you at ease with a complete explanation of your diagnosis, then discuss how it should be treated in easy to understand terms. If you have been putting off that procedure for years, come on in and talk to Dr Teimouri DPM and see if this is right for you. 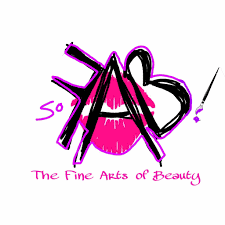 She will be happy to answer all of your questions about the procedure, time off work, what to expect and more…. And if it’s not right for you,that’s ok, then at least you know. If it is, she can help you. Here is just a few of the common problems this Board Certified surgeon sees every day. Bunions are an enlargement of the tissue and bone around the joint on the side of the foot. They are often caused by genetics, but can also occur from tight shoes or injury. Symptoms include redness, inflammation, swelling and discomfort. A bone that sticks out, like a swelling or a lump on the outside of the foot, behind the fifth (pinky) toe, the “small bunion” or bunionette is caused by a variety of conditions including trauma, heredity or faulty biomechanics (the way someone walks), to name a few. days. Most people who fix their hammertoes say if they would have known how simple it was they would’ve done it years ago! A Neuroma is irritation of the nerve sheath, found between the 3rd and 4th toes. A Neuroma can be irritated by high-heels, trauma, arthritis or an abnormal bone structure. NEW Radiosurgery and Lasers in Podiatry – Keeping One Step Ahead ! Radiosurgery is the newest, most effective way to remove unwanted tissue. It easily treats ingrown nails. If you’ve suffered with digging out ingrown nails, or repeated doctor visits, there is now a quick, rapidly healing and safer way to remove them in our office. A wave of electrons at radiofrequency (bands between AM and FM) is used to remove the abnormal corner of the nail. The electrode remains ‘cold’ during the procedure, so the remaining tissue is protected from any burns. Compared to ‘cutting the root out’, or chemically burning the root with acid, or burning it with a ‘hot laser’, the healing time is cut in half or less! The radiowaves also keep the tip sterile, reducing the incidence of post-op infections, making this the perfect procedure for diabetic patients. Plantar Warts and small tumors are better removed with Radiosurgery. When making surgical incisions for procedures like hammertoes, Radiosurgery vaporizes approximately one layer of cells on either side of the incision giving the thinnest scar possible. This podiatric office can also answer questions about laser surgery, posterior tibial tendon dysfunction, fallen arches and brace supports. So call with any questions about various lumps and bumps, or cysts and tumors. Your feet aren’t supposed to hurt. 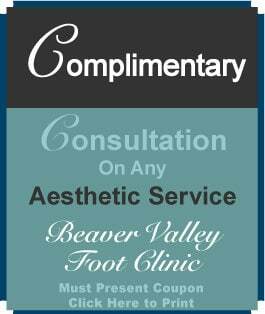 Call Beaver Valley Foot Clinic today at 878-313-FEET (3338) ! 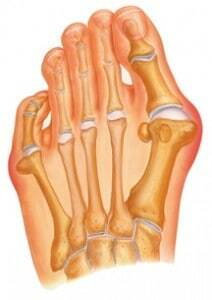 A bunion is an enlarged bone on the side of the big toe that is angled outward. Depending on the severity of the bunion, the big toe may be angled mildly or sharply toward the other toes. If wider shoes aren’t giving you the relief you need a simple outpatient procedure can have you back into your shoes in 3 to 6 weeks. A hammertoe is an arched toe, the result of an abnormal contraction or “buckling” that leaves the toe in a claw-like position. Once stiffened into position, hammertoes rub against shoes and cause painful corns and calluses. A simple 15 minute office procedure will permanently fix this problem. Ankle Sprains are caused by sudden sideways motion, a twist, or a misstep. When your foot lands off balance, muscles may give way, allowing the ankle joint to move too far. If ligaments connecting the foot and anklebones overstretch or tear, a sprain is the result. These sudden injuries cause pain both at the time they occur and throughout the healing process. Depending on the sprain, swelling and bruising may extend from your ankle into your foot. With proper care, however, sprains will heal correctly. And, in many cases, you can reduce the risk of reinjury. Does your daughter complain of pain in her foot? Does your son avoid gym class or other activities because of the pain he feels in his heel? It is unusual for children to complain of foot pain, so if they do mention it, there is most likely a problem behind it. 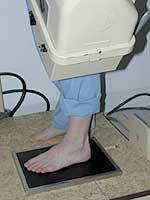 Often, the problem is a case of flat feet. If you or your spouse has flat feet, it is likely that your child does too, as the condition is hereditary. A child may complain of pain on the inside or outside of the ankle or the bottom of the foot. Older child may develop painful bunions (a bump on the side of the big toe) or hammertoes (curling or crooked toes) as a result of flat feet. If your child does have a painful flat foot, the doctors at the Beaver Valley Foot Clinic can assess the problem and decided on a proper course of treatment. Most flat feet will require simple orthotic inserts in your child’s shoe to help realign the foot. If that does not alleviate the pain, surgical correction can be performed to prevent further problems down the road. Due to the latest surgical techniques, the flat foot correction can now be accomplished with a simple surgery that will require minimal recovery time. Please keep in mind that the doctors are dedicated to to exploring a full course of conservative treatment prior to performing any surgical procedure. In the back of the heel bone, where the Achilles’ tendon attaches to the bone, there is a growth plate that enables the bone to continue to grow as the child ages. For some children in this age group, the bone grows faster than the muscles and the tendons of the leg. This causes the Achilles’ tendon to become to tight and to pull on the back of the heel bone. Fortunately, the treatment for this condition is always conservative and does not require surgery. Stretching, icing, anti-inflammatory medicines, heel lifts and a temporary decrease in activity usually relieves the pain. The good news is that the growth plate closes over time, so the pain does not reoccur and no long-term problems result from this condition. For adults, the noninvasive ESWT, Extracorporeal Shockwave Therapy is available to treat your heel pain in one 20 minute visit. Other common pediatric foot problems to be aware of include ingrown toenails and warts. 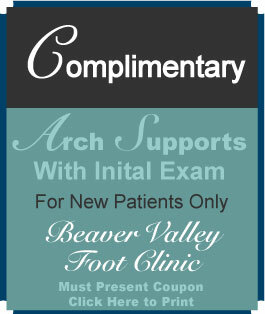 All pediatric foot conditions can be treated by the doctors at the Beaver Valley Foot Clinic. Having children of their own, both doctors are sympathetic to young patients as well as parents. As always, they are dedicated to providing gentle yet comprehensive foot care for patients of all ages.